Chuck Runyon, Dave Mortensen, and Jeff Klinger founded Anytime Fitness in 2002 in St. Paul, Minnesota. All three men were previous business partners who successfully owned, operated, and sold a local St. Paul fitness center several years ago. The idea for Anytime Fitness came after the founders worked as consultants for a firm that helped underperforming fitness clients’ increase their bottom line. As of 2015, Anytime Fitness has over 3,000 gym locations and 2 million clients. The fitness club opened their first international location in Halifax, Nova Scotia, Canada and has since then expanded to locations in Australia, Canada, Grand Cayman, Japan, Mexico, the Netherlands, Poland, New Zealand, Qatar, and the United Kingdom. Anytime’s nationwide manifesto is to “Improve the self-esteem of the world.” The company is less concerned with how many pounds and inches its clients use but more focused on their improved quality of living and outlook on life. In 2011, Anytime Fitness developed a health and fitness app for their website that is available to members and serves as a platform to download workouts, track food, and interact with other users to meet fitness goals. Anytime Fitness membership fees and contracts depend on the kind of membership you apply for and the location, but the average cost is typically $30 to $36/month; however, in other clubs, the membership fee is $44 for a single monthly membership and $39 for a 12-month membership. Couples can also enroll in the gym usually at a discounted price when compared to applying individually. If you are not sure of the fee, you can check the Anytime Fitness Membership Agreement where you will also find information on cancellation fees. The yearly membership also varies depending on the location, although the rate is usually in the $450 to $500 range. At some locations, Anytime Fitness offers a free month of memberships to the top male and female attendees each month. This means if you are a "gym rat" you have a chance to save money. Overall, Anytime's fees are less expensive than some of the nation's most popular gym chains, making it more affordable for the average working person to maintain a monthly membership. One membership gives you access to thousands of locations worldwide, so if you travel regularly, you can go to the nearest Anytime gym for no additional fee. Several gyms we reviewed only allowed members free access to one location. The fitness club's gym membership fees may also be affected by offers, discounts, and promotions offered separately by location. each gym within the franchise is independently owned and operated by individual franchisees. Each state may also have a different cancellation fee or policy. For the accurate pricing details, contact a nearby location. Anytime members have to pay an activation fee of $50. The company offers members a "No Member Left Behind" program. This is a program for all new members where they get a free 30-day "get-started" program with two complimentary training sessions, nutritional recommendations, and a customized workout plan. With Anytime Fitness, you also get a free month if you get friends and family members to join and if you refer four or more people, you get one year free. These perks are unique to Anytime as our reviewers have not found similar introductory offers at other gyms. The $50 activation fee is less expensive than the average fitness center, many of which charge upfront fees of $75 or more. Each of Anytime's gyms typically has the same equipment, with the exception of a few offering Tan Beds and Hydro Massage Beds. Due to each location being independently owned and operated, the set-ups all include free weights, Nautilus, stationary bikes, spin class bikes, Studio with Video Workouts, ellipticals and treadmills. Customers at the health club enjoy group classes offered free with their membership. These classes include cycling, strength and conditioning, silver sneakers, step aerobics, Zumba, Yoga, and Pilates. There are some major gyms that offer more of a variety of classes but certain classes may come at an additional price. With Anytime Fitness, there is no upselling or pressure of any kind to work with an on-site personal trainer. All trainers are in tune with members' abilities and goals and work diligently with one-on-one training in a friendly atmosphere. Customers especially like that Anytime offers a free fitness consult and guidance from personal trainers who aim to educate, not get them to purchase personal training sessions. Members can choose between group training and one-on-one sessions. Pricing is not discussed until you schedule a full inquiry and go to the local gym to inquire. Anytime's biggest unique selling proposition is its 24/7 availability, which gives members access around-the-clock, even on holidays. Members receive a special "FOB" access key to get into the facility 24/7. The company ensures member's safety through cameras located on the premises. The company also has alarm fobs members can wear around their neck after hours that allows you to call for emergency service with a push of a button if you need assistance. Anytime even conducts background checks on every member, which can make customers feel more secure or more violated regarding privacy. Many reviews have complaints about Anytime's "hidden fees" and the fact that it does not advertise its fee structure online. If you're able to track down a person who is willing to answer your questions on the phone about their payment plans, hidden and initiation fees, you will be able to alleviate much of the confusion and headache if you decide Anytime is the gym for you. We did, however, find a hidden fee called "key fob deposit" for $86.96. Anytime states that this deposit will be refunded after your annual contract (or lease) ends. Some customers who end their contract prematurely report difficulty getting this deposit refunded. A $38 fob key deposit is also charged to trial membership users if they want to use the gym after business hours. Some customers feel like this is deceitful since the offer is advertised as a one-week free trial. According to Anytime's website, every club under the Anytime Fitness franchise is cleaned and maintained according to the highest standards. Customers generally have not commented about the gym's cleanliness in any significant detail. We did find that the level of hygiene varies from location to location. Overall, Anytime's cleanliness is average. Other amenities the company offers at its fitness centers are free Wi-Fi, private restrooms, and private showers. Anytime is not replete with upscale amenities like many of their competitors who offer indoor/outdoor pools, spas, steam rooms, massage beds, cafés, etc. Also, Anytime does not offer childcare the way similar gyms of its size do. Overall, Anytime Fitness is a get in, get your workout done, and get out type of facility. There are not a lot of additional amenities at these gyms like childcare or steam rooms. Most have a very basic gym layout, with very few locations offering pool services. Due to the company's facilities being open 24/7, we recommend Anytime Fitness gyms for anyone who is a "night owl," works the graveyard shift but wants a gym to work out in regularly outside of business hours or on holidays. We also recommend Anytime for people who travel a lot and want a gym membership that allows them access to any location at no additional charge. Anytime is also a viable option for anyone who doesn't want to be pressured by personal trainers to buy training sessions and desires a warm, community-like environment. We do not recommend those wanting an upscale spa-like gym with lots of open space to try Anytime, as many customers complain about the small facilities and limited space. Anytime's monthly dues are affordable for the average working individual at $44/month for a single person membership. There are hidden fees, so before you sign a contract make sure you ask plenty of questions. I am extremely dissapointed with my gym. My key fob accidentally broke off my key chain at my son's little league game and they charged me $29 for a new one ... that's a whole month's membership. Don’t waist your money when there is way better gyms out there. If you end up signing up with anytime fitness make sure you READ YOUR CONTRACT THOROUGHLY! Just so you know there is a extra charge of 31 dollars per person in April and October for new equipment, ha what a joke! Maybe it gotten better I don’t know but I haven't been in a while. when I did go up there was when they moved to the new location I went in a few time and I don’t know were the money was going to. My guess is into some one pocket or that honeymoon the guy took. Anyways when I signed up 2 years ago they never told me I had to find out in my own. Also beware that if you put a freeze on the account for instants like being on bed rest for pregnancy, they will just add those months to the end of your contract so you will be stuck with them even longer. But did they tell me that NO! So please save your self and read the fine print and ask question when you sign up. I had spine surgery in Oct 2018. The neurosurgeon gave me permission to resume working out after 4 months. I waited for 5 months to go back to Anytime Fitness and request a personal trainer. When I met with the personal trainer for my assessment I was completely transparent about my surgery and health. He was on board with everything I said, even mentioning that he too suffered from back ailments so he understood how to train someone with back issues. We went on the gym floor. I did a few exercises and again he assured me I was trainable. I signed injury waivers, paid, etc. I even saw the PT that Monday in the gym before our actual session. He complimented a couple of the exercises he saw me do. The night before I was to have my first training session, the General Manager called to tell me that the PT had second thoughts and does not want to train me. She had no one else in mind to train me even though I have medical clearance to do everything except workout with heavy weights and kettlebells. I am completely devastated and upset beyond words. Any confidence, dignity and self-esteem I had has been completely stripped away by this incident. The message I took away was crystal clear. You aren't worthy to be coached by Somer’s Anytime Fitness personal trainers if you have any physical limitations. Only ask for personal training if you are in perfect health otherwise you may pose an inconvenience in their perfect little compartmentalized fitness training world. I wanted to cancel my membership because within the first 2 months of working out there I had a terrible experience. Now, I get a bill in the bill from a debt collector from over $400. Seriously. Fed up with this company. Charge ridiculous rates and planet fitness is the way to go. the biggest scam of a gym, worst customer service, everything you gonna hear from them is just lies, read the contract before you sign anything, they told me that I can transfer the rest of the contract to someone else if i find someone that is willing to take over, now, when I'm moving, and I have someone to take over the contract, they are saying that they have to resign for 24 moths (I have 4 moths left on my second contract), what kind of transfer requires a new 24 month contract ??? They are just super greedy, run away from them! not worth it!!! we have been with them for over 3 years, and I will not recommend it to anyone! Good employees and a great set up for flexibility in schedule where I can work out early mornings or late evenings when other gyms close early. I cancelled my membership because the gym is too small. The price is too high when you have to wait to use the equipment. I had a Anytime Fitness really close to my home and I went there once but I didn't like the place. Too dark and a little dirty. People that worked there looked don't care at all. I have had a membership to Anytime Fitness. 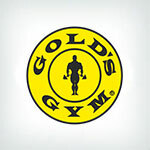 They are a good gym. I do like that you have the option to go any time during the day but it can be frustrating because their staffed hours seem to be less then a regular gym so its a little hard to speak with a staff member if its the weekend. I didn't even get a chance to join because the guy told me I would have to pay $1000.00 to join for one year. I was aghast!! I think he just didn't want a fat senior citizen waddling around his gym. He kept telling me I could ask family members for the money! This was the one closest to my house on Coliseum Blvd. in Alexandria, Louisiana. What a rip off. The owner/onsite representatives are rude, have no respect for your time, and only want your money. My Fiance and myself joined before the club even opened as one of the first 30 members.. Gary (I believe Singh is his real name) met with us to sign the enrollment papers. He was very manipulative and we had no idea that this was a 3 yr contract or else we would have never agreed. We now realize a copy of the contract was never sent to us, partly our fault for not following up. I recently went in to the inquiring about how to cancel our membership due to personal reasons, we were given an email address. The trainer on staff could not answer basic questions, did not how to process a cancellation or even a phone number of who to talk to. It took multiple back to back emails, attempts at getting them to schedule a call with me (did not call during the time frame we discussed), and a meeting scheduled at the gym (Gary was supposed to meet me there at 5pm, never showed) to finally cancel my membership. They did not take any ownership of the issues they caused or remorse for missing schedule appointments. They charged me $299 to cancel the membership and acted like I was getting deal. They also charge $35 two times a year for a "maintenance fee", another way they are just trying to get more money. Do yourself a favor and join a different gym where the owners respect peoples time and maybe reach out for the cancellation reason. If anyone knows how I can speak with a regional Anytime Fitness representative about my experience, please let me know. Gyms that I have visited have been nice and well maintained. I like that I can go to different locations if necessary. I have always felt safe and enjoy the equipment offered at the gyms I've gone to. I absolutely love this place because of the connivance of "anytime" fitness it is open always and is super affordable! Staff, staff, staff!! Anyone can throw a bunch of equipment in an open space and call it a gym. But anytime fitness on elbow drive has the greatest staff. All super nice, super helpful, and definitely do the 1 on 1 with Terence (I'm sure they are all good, but Terence is the only one I have met). Good listener, understands my restrictions (back accident) and pushes enough you feel the burn where its needed. We are members at the Broken Arrow, OK gym. Have been attending gyms across the Midwest for years & joined this because it's conveniently located by our home & it has 24-hour access. Was told when we signed up that the cardio equipment is regularly maintained & yet it's out of date & nothing new has been added in >3 years. My biggest complaint is the cleanliness & the staff's attitude. Have been in gyms where someone walks around & cleans equipment, empties trash, ensures the equipment is functioning correctly. You have to knock on their office door to get someone's attention & let them know the trash is full, or the spray bottles are empty. There are spider webs around the cardio equipment & around the windows. Literally never see anyone clean anything. The virtual trainer (with video workouts) has been down for >2 months & that was one reason I joined. The water purifier has been down for >2 months. Just chronic neglect. The only benefit is I can lift weights during down times without competing for equipment, but overall am highly disappointed. Anytime Fitness is the absolute best. I have a crazy busy schedule so it's nice to know that it will always be open and I can go in anytime I want. Also, the equipment is great, it's never crowded, and the employees there are so friendly. 6 Months of great service and 4 YEARS OF HORROR In 2015 I signed a contract for 18 months, knowing I only needed the gym for 6 months to train for an event. I used the gym for 6 months, and it was wonderful. As 18 months approached I called to make sure my account would be cancelled. They assured me it would. I got billed for the 19th month. I called again, as I had moved to a different state to ask for the money back and to PLEASE cancel my account. I got billed for a 20th month. I emailed, and called, and wrote a letter. I got billed for another 2 months. I called my bank and put a STOP PAYMENT on the account. Anytime Fitness sent me to collections and they are demanding $140 for the 23rd-25th months, that I never used, never wanted, never agreed to, and actively worked to avoid. It is now 2019, 4 YEARS LATER, and I just received another letter from their collection agency trying to get money from me, when they owe me for 4 months of invalid charges. A good gym for 6 months is not worth the last 3 years of fighting and a knock to my credit score. Avoid them. Avoid their contracts. Avoid them at all costs. Anytime Fitness is the place to workout! The machines are easy to use which make it a non-intimating envirnoment for beginners like me. Love it and will keep going for sure. Beware! Your contract doesn't end when it does, it goes into automatic renewal afterwards and if you are unaware cause you were never told about this automatic renewal "but it's in the contract" you still have to pay unless you give a written notice 30 days in advance. Also keep you're contract so you can confirm it does state that it does renewal monthly afterward, so when you do call their financial company and they "can't find your contract" and have to go based off of a verbal confirmation from the gyms manager in regards if it did state that, you are not left with a very hefty bill and tons of late fees, cause what manager is going to turn down free money for their gym?! Needless to say, there are way cheaper gyms to go to. Dirty floors, dirty equipment, and nasty, rude management and staff. OVERPRICED for what you experience with membership. My local Anytime just up and shut down with NO notice. Just a sign on the door that says "ANYTIME FITNESS CLOSED PERMANENTLY". And then no response to my emails to customer service, BUT still getting charged!!! I was visiting the Jacksonville area and needed a gym. I went to the Anytime Fitness on Faye Road. It had all the equipment I needed (treadmills and free weights) and was never overly crowded. The staff was friendly and helpful. Some minor issues: never any towels available and I was charged $20 for a week of access, which seemed a bit high. Overall, I got what I needed so it was fine. The Anytime that I work out at has gone through multiple owners. It has struggled to stay open. It has a new owner and is much better but still struggling. I do like that it is a smaller gym and I don’t have to wait for equipment. I had moved to Iowa for a short period of time, I notified the representative who got me signed up of this on the day I was registered. He advised that I can pay a $50 fee to cancel at anytime I needed to. I've been back and forth between states for the last 4 months, I paid for 1 month of not not using their facilities and then requested they freeze my account since I did not know when/if I'd be back. They were helpful and facilitated this for almost 3 months, before my next payment was due, I asked to have my account cancelled, they however charged me $50.24 for the upcoming month (even after I asked them to cancel in advance) and also said I have to pay a $50 cancellations fee, so in total I'm being robbed of $100 to not use their facility. The registration was $100, the key is $50 and your monthly fee is $50, so getting registered alone is an easy non refundable $200. They lack equipment, some of are broken and their prices are ridiculously high and they will rob you. Do not give them your bank account info, you will regret it, do not let them trick you into signing a contract, you will regret it. There's no point in contacting the corporate office because they're independently owned and not really a franchise. What a waste. I'm truly disappointed. Gave me stimulation to work out because of it's warm community environment, less macho trainers and variety of equipment. The facilities are sparse in our town, only basic equipment is available. Wifi is spotty at best. I did not use any of the staff. Canceling our plan was painful. I started to cancel 6 weeks prior to our end contract date. All paperwork was done, key fobs handed in one full month ahead of our end contract date. On the end contract date (8 October) they STILL removed another two-week payment. I had to fight to get my money back as they stated the following, quote "After investigating further it was determined that the payment was drafted on the 8th. This means that you are contractually obligated to pay this fee since this date is included in your notice period." Use extreme caution and make sure you completely understand their terms, they are very complicated when canceling because they will auto-renew you if you do NOT cancel. My husband and I have belonged to Anytime Fitness in Australia and now in Canada. The three gyms we've used were uniformly welcoming, the staffs helpful and friendly. The facilities are well maintained. Anytime Fitness is a large part of our efforts to maintain a healthy lifestyle. The name says it all- you can work out anytime with a membership. I also like that gyms are available to me when I travel for work, across the country. Anytime fitness has a great variety of machines, personal trainers, and sometimes tanning. You don't feel intimidated working out here. My daughter has had a membership at this club for a little over a year. We only signed a year contract, but noticed that we were still getting charged. She is not currently using the membership as much as she was in the beginning, so we called to cancel. They informed us that we would still have to pay for one more month of our membership because we have to cancel 30 days in advance and there are only 29 (!) days from today until our next payment is scheduled to go through. Remember - the yer contract we signed expired several months ago. This is how they treat their customers. Buyer beware. Such expensive memberships, my location is nothing special. I recently left to another gym for a third of the price. I could say a lot about this facility but I will leave it at,,,,Dirty gym, Rude staff! Enough said. very difficult to get out the contract. still taking money after verbally telling them i wished to stop and also sending an email (they tell me it was not sent to Aldershot so does not count). I sent it to the direct debit email i get. Now tell me they will not refund the two months i have not used the gym. The facilities are sparse in our town, only basic equipment is available. Wifi is spotty at best. I did not use any of the staff. Cancelling our plan was painful. I started to cancel 6 weeks prior to our end contract date. All paperwork was done, key fobs handed in one full month ahead of our end contract date. On the end contract date (16 September) they STILL removed another two week payment. I had to fight to get my money back as they stated the following, quote "After investigating further it was determined that the payment was drafted on the 16th. This means that you are contractually obligated to pay this fee since this date is included in your notice period." Use extreme caution and make sure you completely understand their terms, they are very complicated when cancelling, because they will auto renew you if you do NOT cancel. I became a member of this gym after I had my 3rd child. It was nice to know I could go when I could go. Often more then not I would end up going after I got all my kids to bed and settled for the evening. Which was nice for me.... It was like I had my own personal gym because at that time it was hardly busy! I chose this gym because it works with my lifestyle. 24hr , so i definitely should have no excuses. Anytime in Fountain Colorado has some of the rudest, unsophisticated members. It is rare that anyone has decent form and gym etiquette is nonexistent. However if you like the constant clanging of weights and dirty coed bathrooms, then this is the gym for you. New mats were obviously purchased on the cheap and are useless and uneffective. It boils down to rude members and dirty conditions . I love the convenience of being able to go when ever I want and around my schedule. Their machines were great and working. It was easy to get in and out with no "check in". My favorite gym so far. I love Anytime Fitness. There is no hassle to get in and out and on your way. There are always enough machines and they are clean! My favorite gym experience so far! when you walk in the staff knows you by name, they always say hi. its clean. doesn't smell awful. equipment works great. i like that it is not over crowded like the other gyms. I needed to cancel, as I moved to a remote location over an hour drive to the closest location. On the contract it states I can notify the finance company so I gave them 30 days notice in writing. I got a call from the collections company 6 months later, the gym had continued to try to collect and it was now in collections. I called the Brampton location and spoke to Lauren the manager, and she said I was not allowed to notify the finance company so they didn't honor my cancellation. I explained that it is right in the contract which she obviously never read. She said if I prove it she will remove the collections. I sent her a copy of my contract showing that I can cancel with finance company. She didn't remove the collections which call me daily now, and she won't return calls. stay away from this company! Love anytime fitness!! I can go whatever time works around my schedule and that's something I love about it. I don't have to worry about missing a certain time I signed up for. So, that's something I love! its down the street from my house so that is convenient. not as packed or over crowded. front workers are pleasant and helpful. equipment are clean, and doesn't smell awful.